Hoop Hardware includes 2 steel screw-gate carabiners, one swivel, and one 12” hand loop. 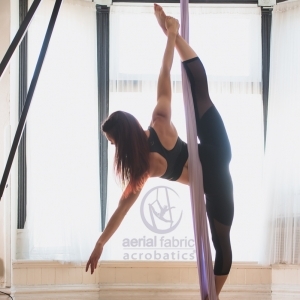 For the Single point Aerial Hoop or Lyra of any size, the hardware kit includes 2 steel screw-gate carabiners, one swivel, and one 12” black soft and strong hand or foot loop. 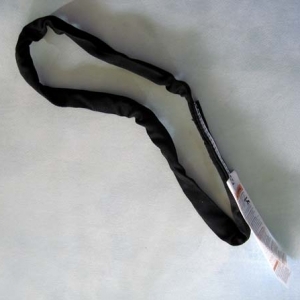 The Hand or Foot loop is made with black webbing wrapped in soft Nyoprene. 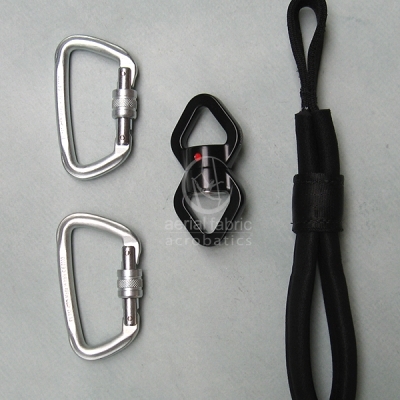 It has a guard that slides down to lock foot or hand in position. 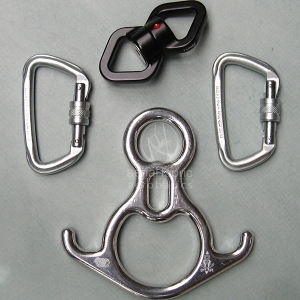 We highly recommend having a swivel in your hoop hardware set-up. 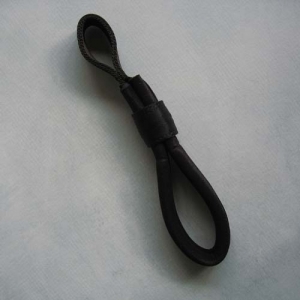 The swivel allows for spinning without taking the spin or rotation up into your attachment point. 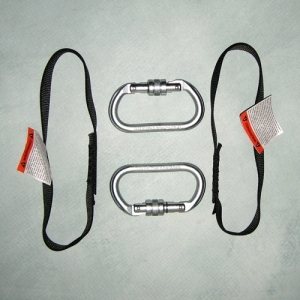 Steel Screw Gate Carabiners EN 362 and rated at 50kN or over 11,000 pounds of force. 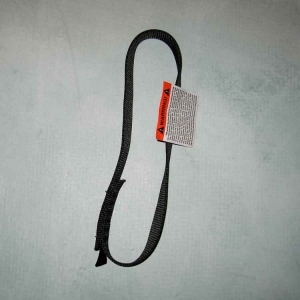 Hand Loop: Made in USA of black 1″ webbing, neoprene on the loop with safety guard.